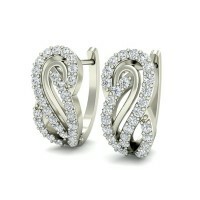 When it comes to jewelery accessories, some things are as ubiquitous as the swirly pair of hoop earrings. 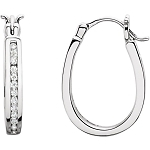 Flattering to every face and characterising features, diamond hoop earrings hold the power of simplicity. 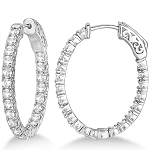 Tagged as huggies, diamond hoops are set halfway around the outside of the hoop. 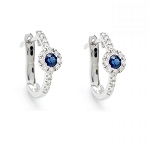 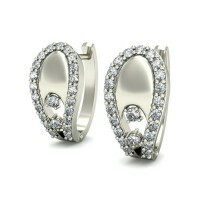 Define a new wave of luxury by wearing oval shaped hoopies that evoke a sense of charm. 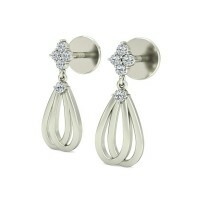 Dress up any wear and no single head will stop looking at you. 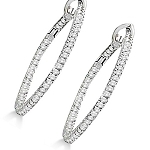 Discover yourself as the fun, flirty (hallelujah) at any party, sport the look with the hottest fashion trends of diamond earrings. 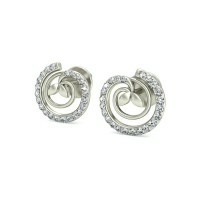 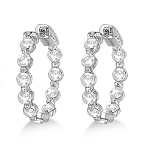 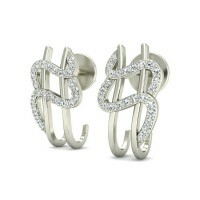 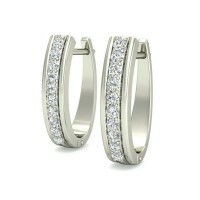 Anyone out there who wants to come in the spotlight, what can be more sensible than picking up a diamond hoops earrings? 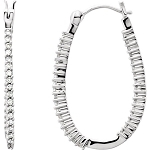 Hoop earrings for men or big hoop earrings, Medium or big sized, punctuate your confident look with the attention-getter hoop earrings from Jewels Queen. 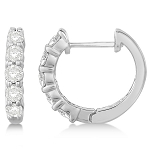 If you are looking to add some spice to your ensemble and no matter what occasion you want to coordinate your ensemble it, check out from our customised hoop earrings from Jewels Queen. 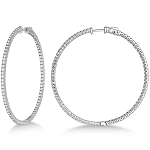 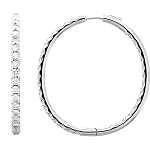 So whether you are out on the town of Nashville or Miami, we offer stunning thin hoops to thick-banded diamond hoops and small to large diamond hoop earrings that will help you find accessories for any occasion. 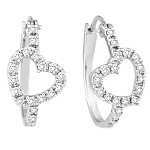 The classic choice of many women, step away from the ordinary by buying from the heart-stopping allure of diamond hoop earrings available at various shapes, manners and sizes of decoration. 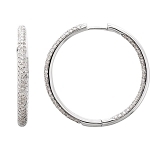 Transform into the sheer beauty, we offer gold hoop earrings, silver hoop earrings, diamond hoops, white gold hoop earrings and gold and diamond hoop earrings. 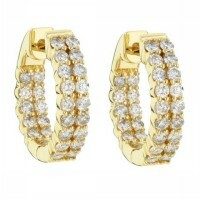 Gold hoop earrings: One of the timeless treasures, top off every wear with the rich texture of 14k gold hoops earrings. 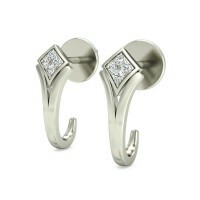 Delicately complement your casual attire, our gold hoops earrings for women give you an extra special finishing touch. 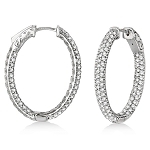 Silver hoop earrings: Gentle to the ears, silver hoops can give you a fresh chic look combining standout appeal with delicate definition. 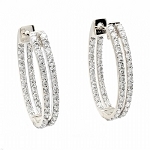 Diamond hoops: Look stunning in jewels queen sparkling diamond hoop earrings featuring of various stone colours ranging from chocolate to black diamond hoops earrings. 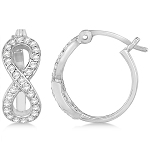 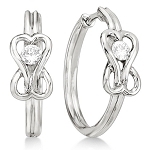 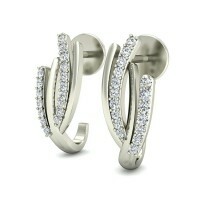 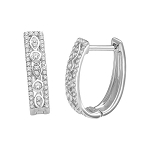 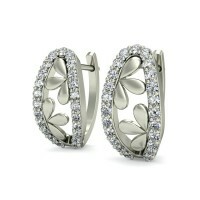 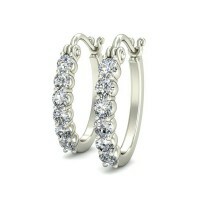 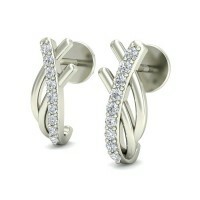 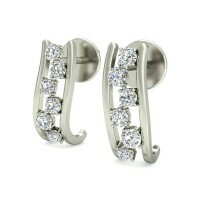 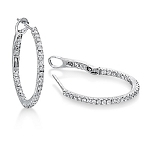 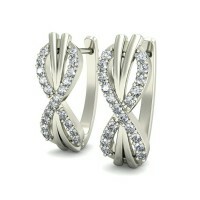 White gold hoop earrings: It can go with either evening gown or cocktail dress to dazzle. 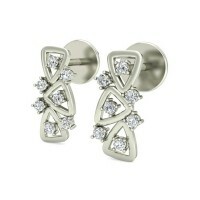 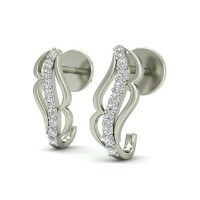 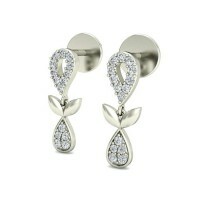 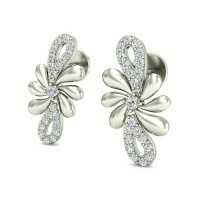 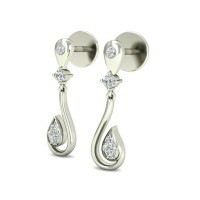 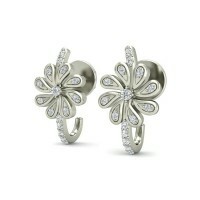 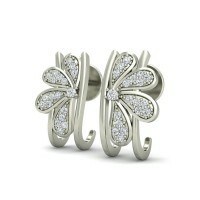 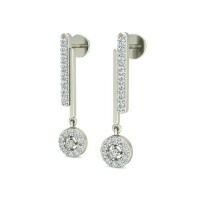 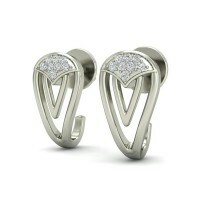 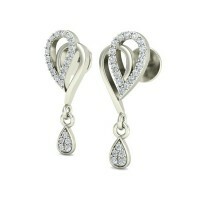 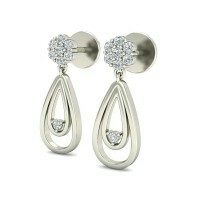 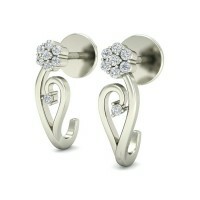 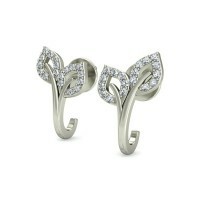 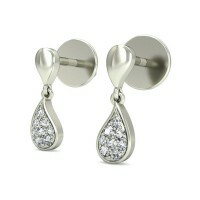 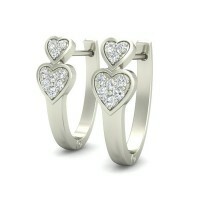 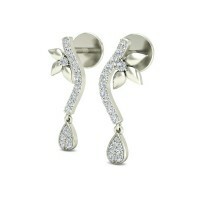 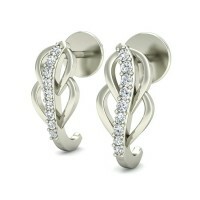 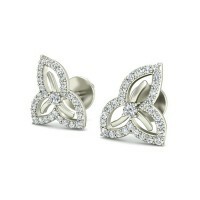 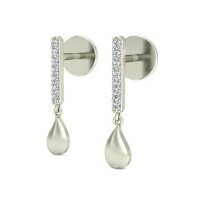 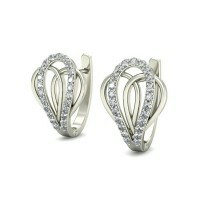 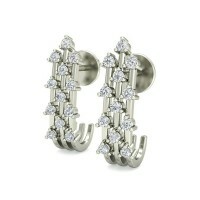 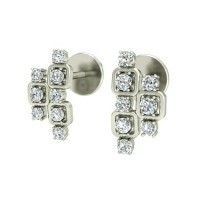 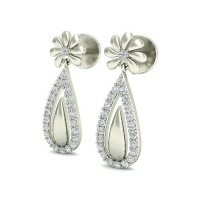 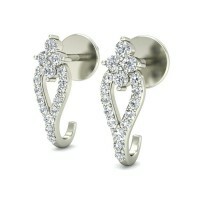 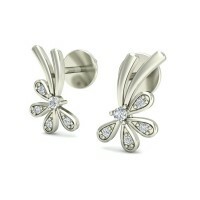 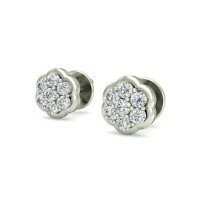 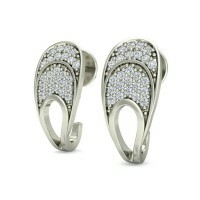 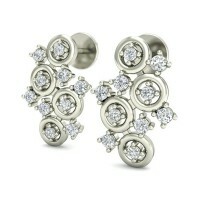 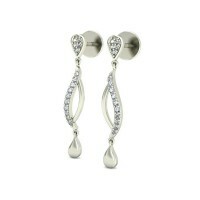 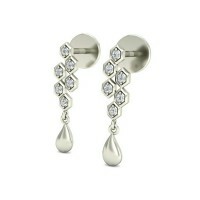 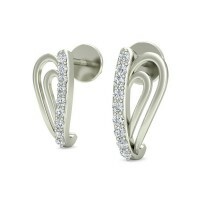 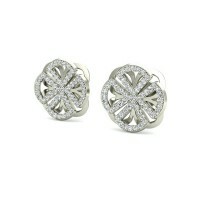 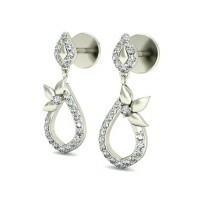 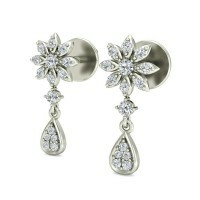 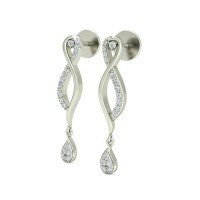 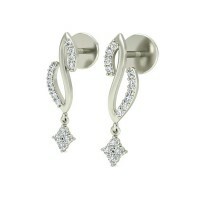 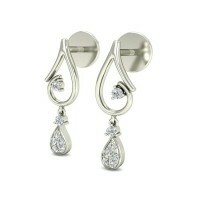 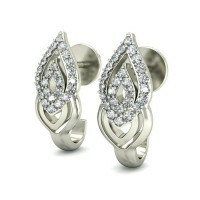 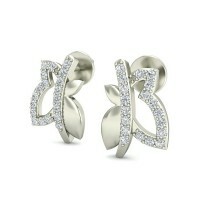 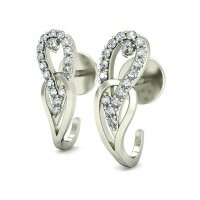 Accentuate your casual outfit to add a little flair with jewels queen white gold earrings encrusted with diamonds. 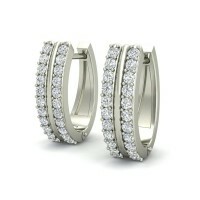 Gold and diamond hoop earrings: Be bold by pairing gold and diamond hoops earrings available here with all-out style. 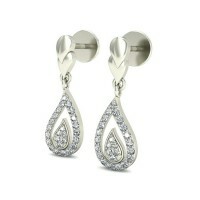 Get noticed in the crowd within the sheer beauty of diamonds highlighted on the gold body.